Be immersed in the world of sunshine and ABBA songs as Mamma Mia! The Party comes to town, co-produced by Bjorn Ulvaeus himself. 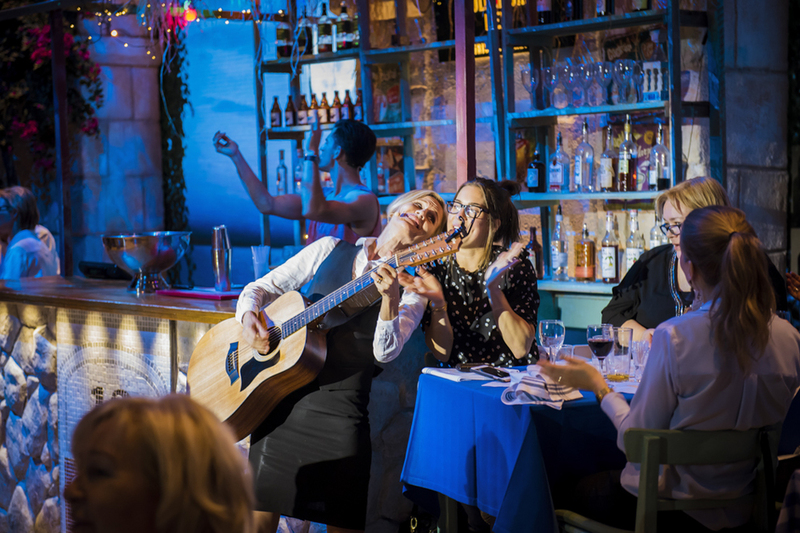 Set on a Greek island, you'll sit at tables in the taverna's courtyard, enjoying Mediterranean food and drink while seeing the theatre - with Sandi Toksvig in the cast - unfold. It's as if you've been invited to the afterparty for Mamma Mia! so you'll get the chance to dance along to ABBA songs. The immersive experience takes place in one of the venues within The O2 which has been transformed into Nikos' Taverna, designed by Steve Tompkins of Haworth Tompkins architects. You'll certainly feel as if you've been whisked away to the island of Skopelos, amongst olive trees and bougainvillea. It's already proved a huge hit in Stockholm where it first opened in January 2016 and is now in its third sold-out year. What are the best dining options near Mamma Mia! The Party London? Mamma Mia! The Party gyms, sporting activities, health & beauty and fitness. The best pubs near London Mamma Mia! The Party. Mamma Mia! The Party clubs, bars, cabaret nights, casinos and interesting nightlife. Where to have your meeting, conference, exhibition, private dining or training course near Mamma Mia! The Party. The pop singer-songwriter from Canada, who came to prominence on a video sharing website, embark on his Illuminate World Tour. From cheap budget places to stay to luxury 5 star hotels see our special offers for The O2 Arena hotels, including InterContinental London - The O2 from 84% off.